McGarvey served on the Mather Restoration Advisory Board (RAB) since its inception in 1994. Once a key Air Force Base, the property is now an airport that is run by Sacramento County, the site of the Sacramento VA Medical Center, and the location of many businesses, offices buildings, and the Mather Community Transitional Housing and Employment Services. “Because it was on one of the first base closure lists, the Air Force began cleaning up Mather in the 1980s. As of 2009, all cleanup systems were in place and working to remove all contamination,” said McGarvey. He continued that “citizens were appointed to the RAB to make sure that cleanup was done correctly.” Hundred of wells were installed to test ground water as well as soil vapors. The original RAB had 24 members but that number had dwindled to four when the Board disbanded. And of those four, only McGarvey and Sandra Lunceford of Folsom were members of the original RAB. “Because I played a role in the contamination, I was pleased that I could oversee the cleanup,” he concluded. 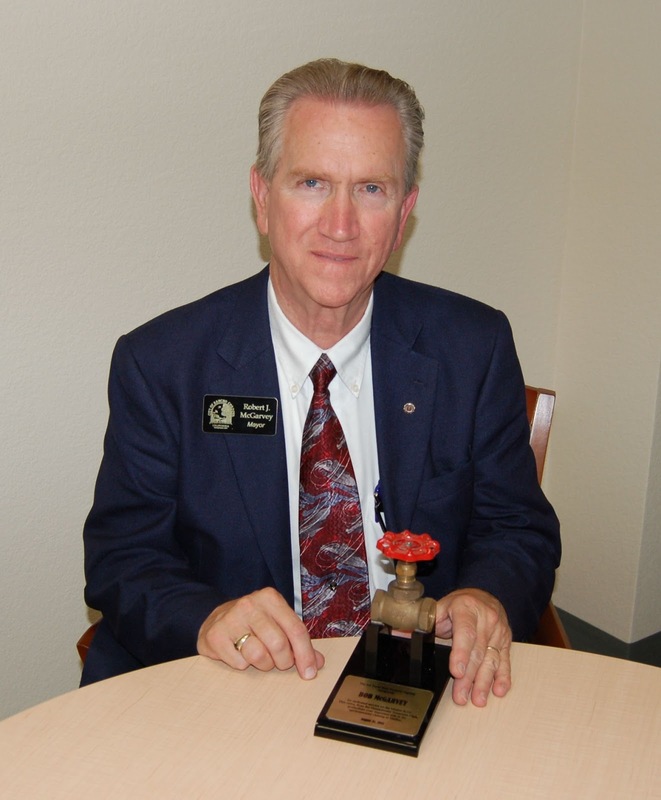 After McGarvey retired from the Air Force in 1965, he worked for Pacific Bell for 33 years. He has been a member of the Rancho Cordova City Council since the City incorporated in 2003. No Comment to " Rancho Cordova Mayor Receives Mather Cleanup Award "